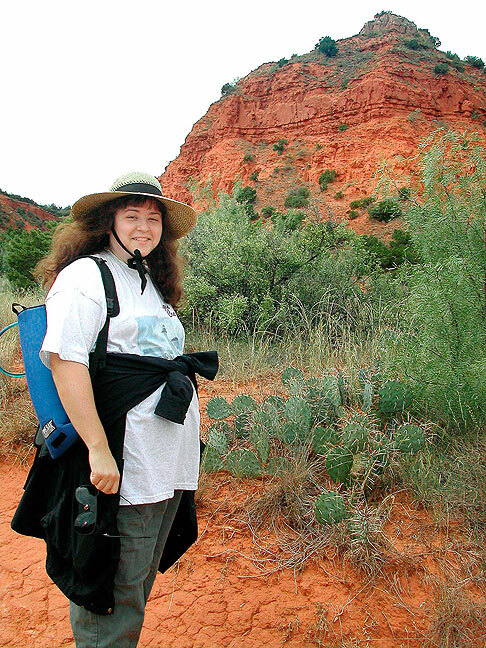 Margaret hits the trail at Caprock Canyons State Park. 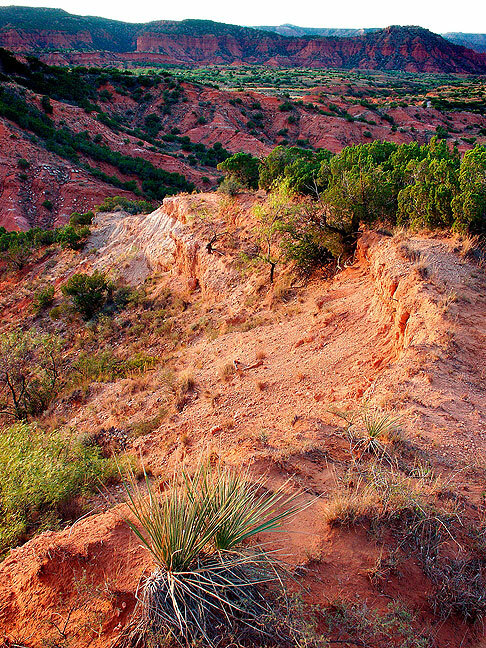 With my success at Palo Duro in May, I decided to explore another nearby Texas State Park, Caprock Canyons. 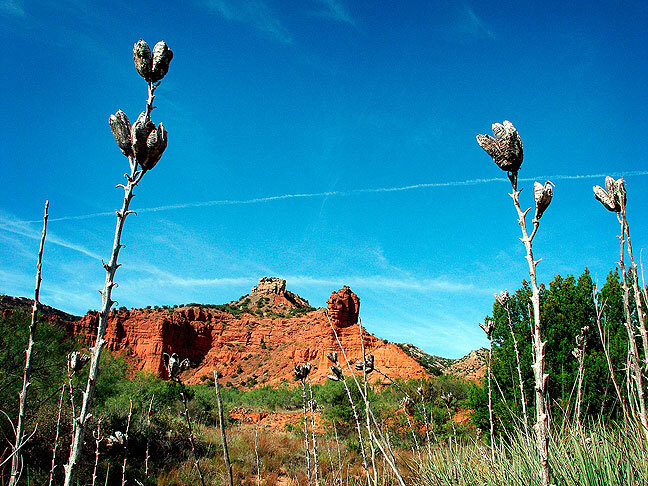 It’s only about 85 miles southeast of Palo Duro, and though smaller has the same kind of wilderness look and feel. My hiking partner for this trip was long-time friend Margaret White. We drove from her home in Moore, Oklahoma. 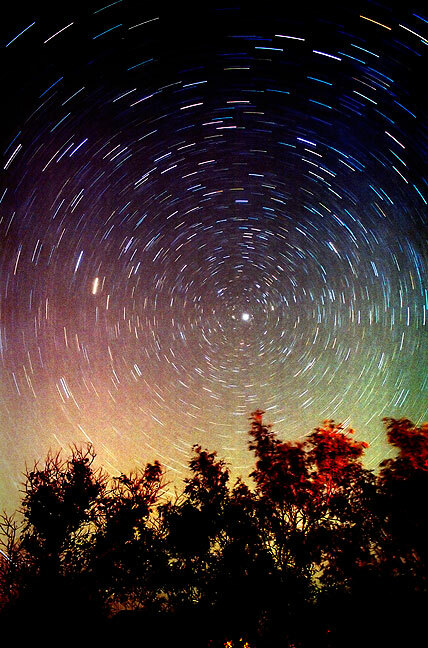 The six-hour drive was mostly west in Interstate 40. Our first stop was the Bug Ranch, a touristy knockoff of Amarillo’s Cadillac Ranch, at I-40 and State 207. 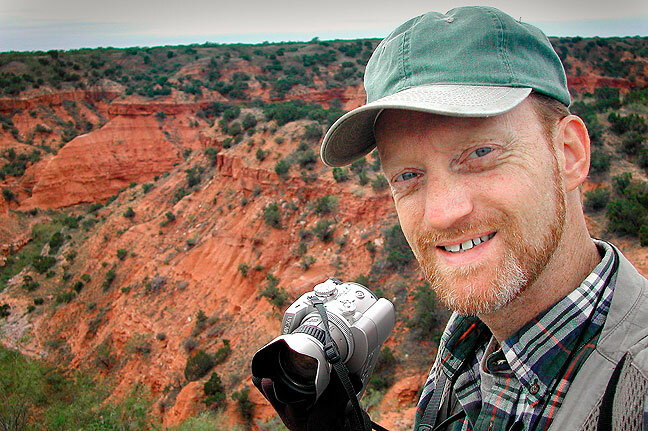 This trip was my first opportunity to use the Minolta DiMage 7i digital camera. 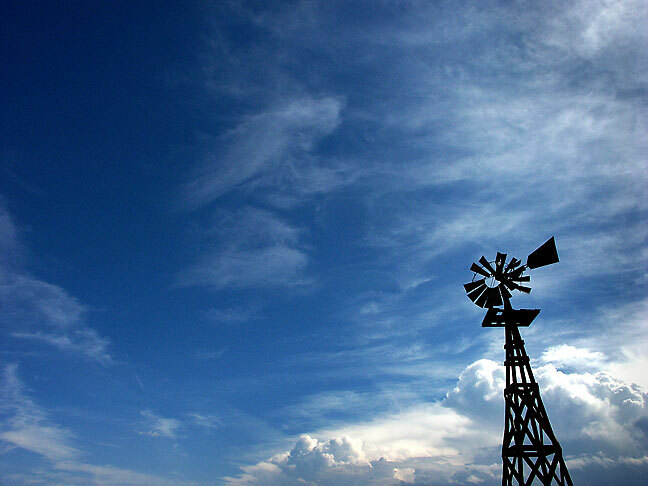 A windmill is set against an approaching thunderstorm just outside Caprock park boundary. Our first stop was The Bug Ranch, a little-known attempt to copy the famous Cadillac Ranch. 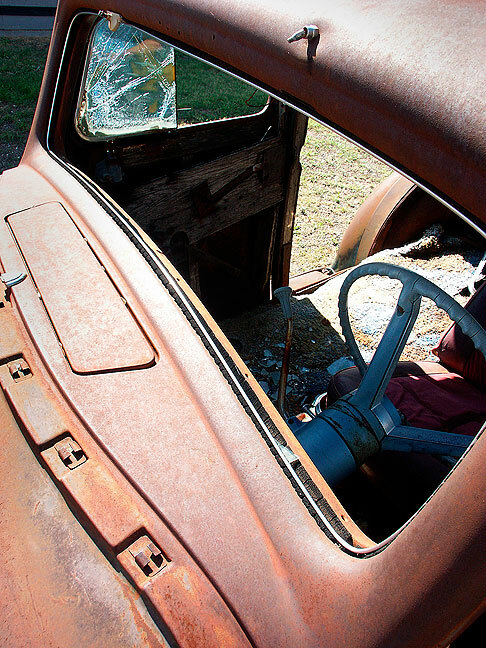 An old car sits in the sun at the Bug Ranch. 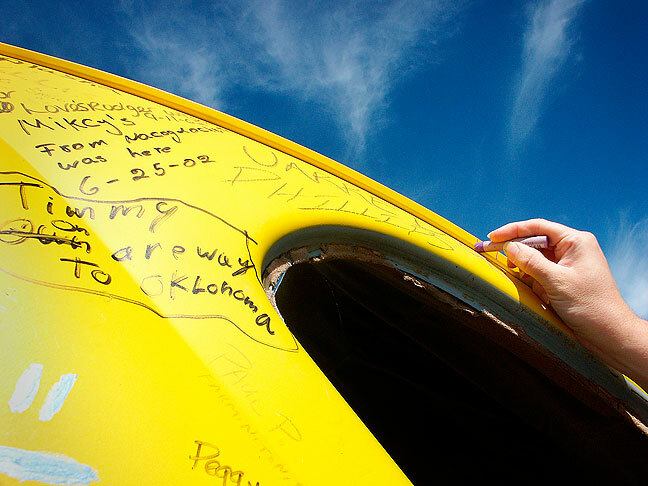 Margaret makes her mark in one of the five yellow Volkswagens of The Bug Ranch. 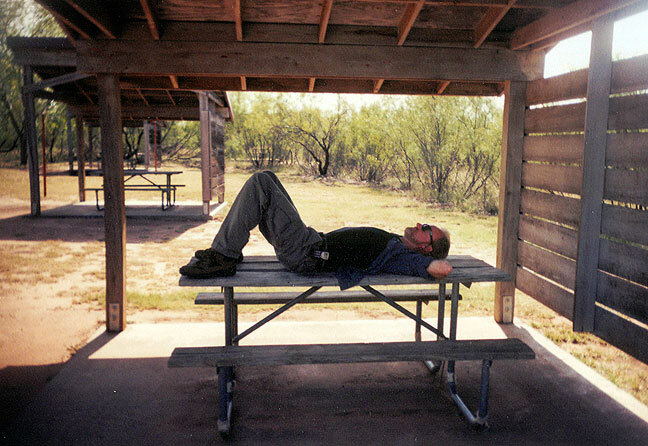 Margaret made this image of me resting after a long hike. 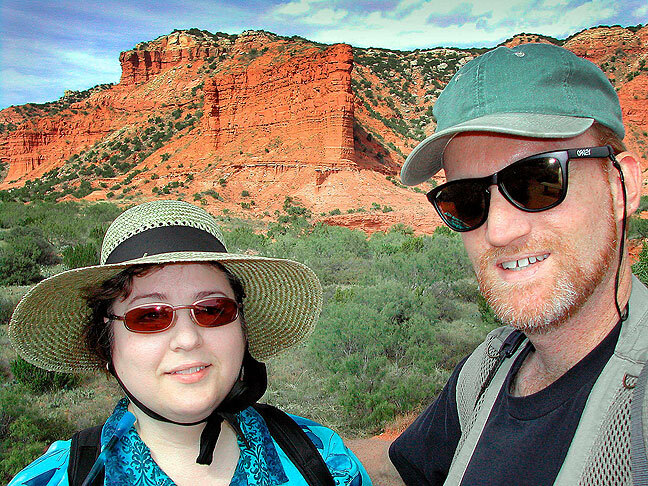 Margaret and I take time to pose for a self-portrait on the trail at Caprock. We struck out early, and had an easy drive in excellent weather. We arrived at the park at around 2 pm, hiked a few of the shorter trails, then made camp in the Honea Flat Campground. 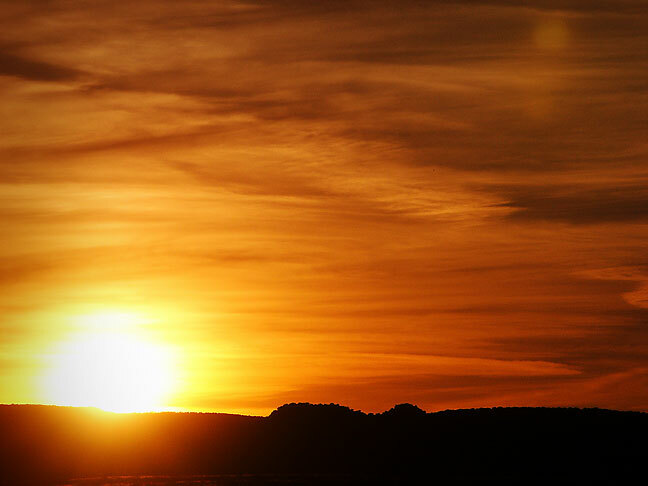 The evening was cool, clear and still, and I made some remarkable sunset images. 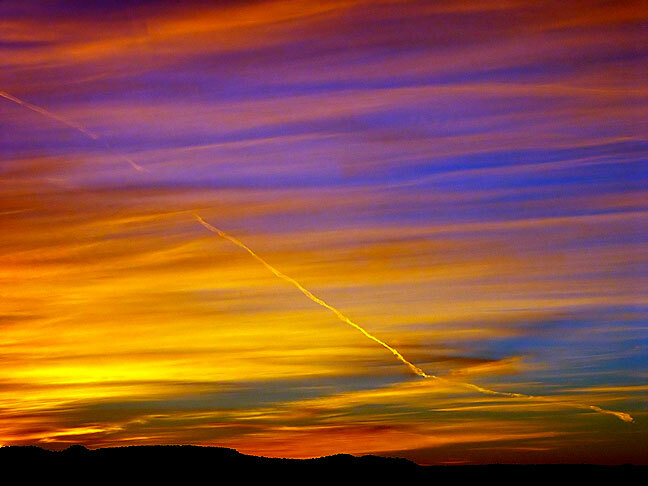 The sun touches the horizon at Caprock Canyons. 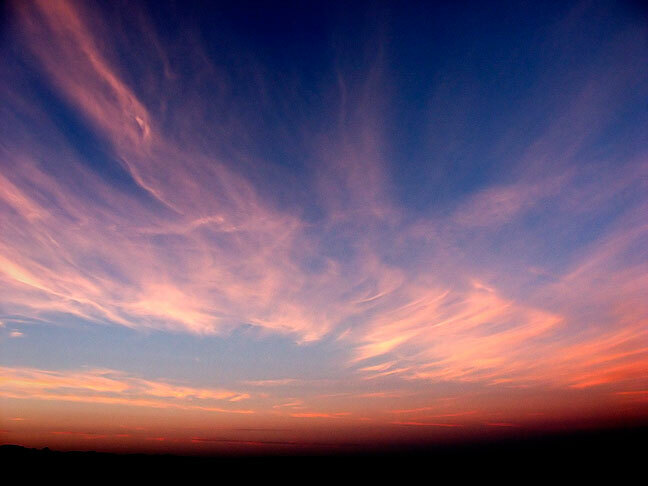 At last light, the warm tones of the sun gave way to these dream-like blue hues. 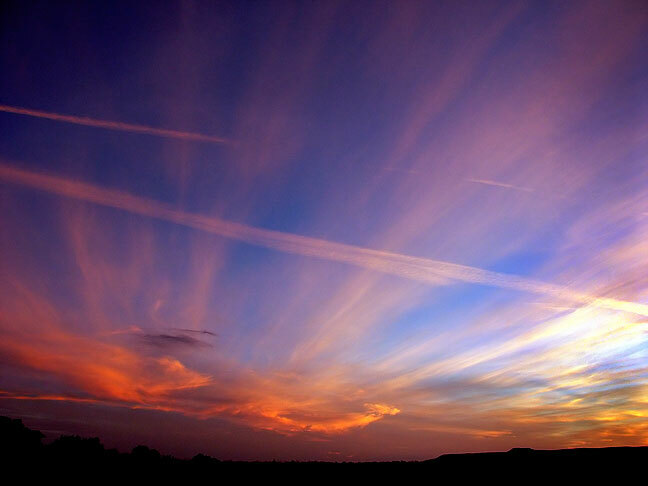 Colors blend in the western sky minutes after sunset. 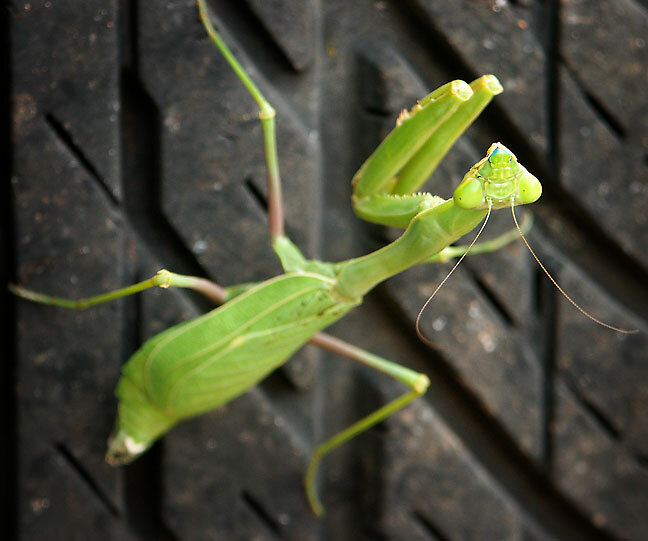 A large Praying Mantis sits on the tire of my car. 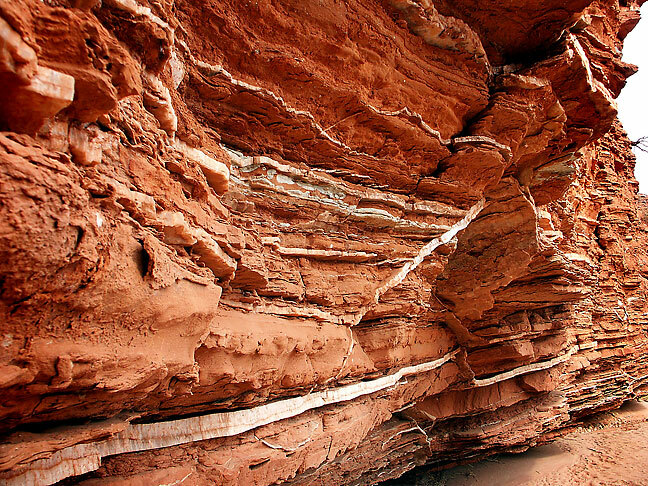 Sandstone and gypsum striations in a wash near the North Prong. 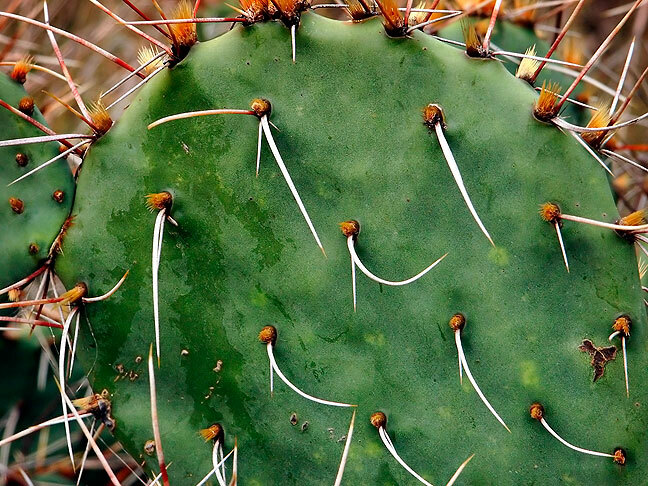 Prickly pear cactus dotted the trails at Caprock. 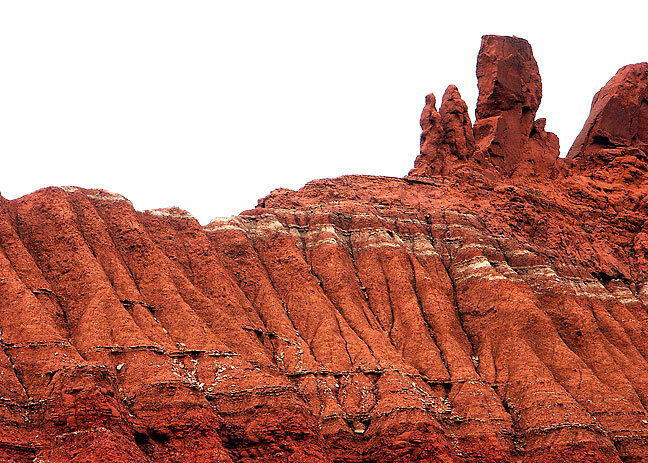 Hoodoo and erosions near the Haynes Ridge trail. 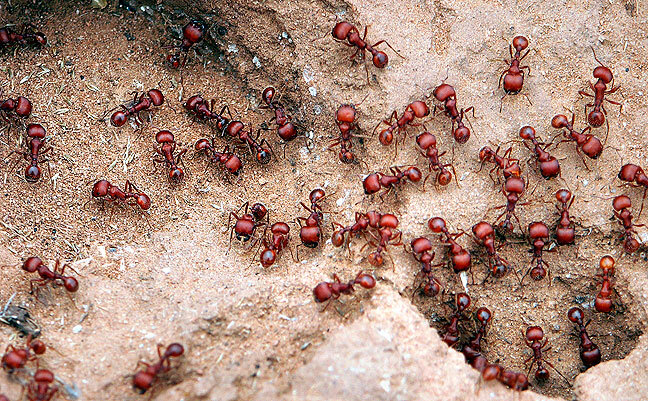 Red ants like these were a common site at Caprock. 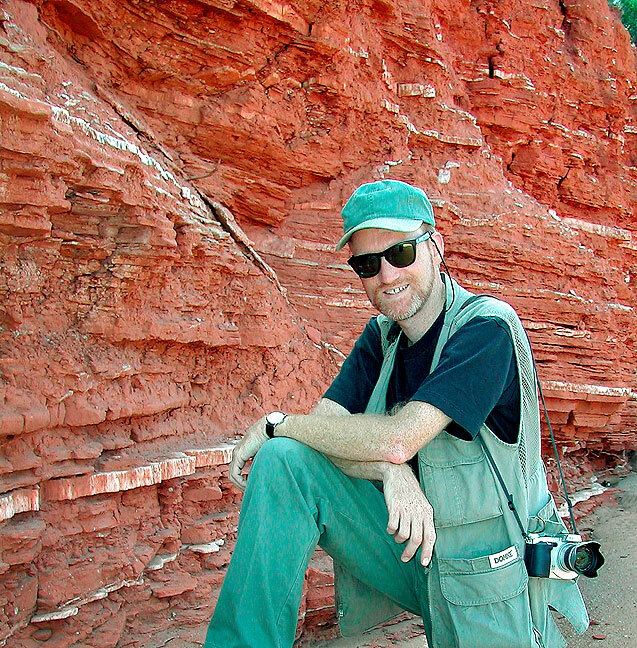 One characteristic of interest at Caprock Canyons is the layers of gypsum visible in the creek beds. I slept well, but Margaret did not. In the morning, she stayed in camp while I hiked the Canyon Rim trail. After lunch the two of us took the Canyon Loop trail, which was very beautiful. All day we had the trails and the campground to ourselves. 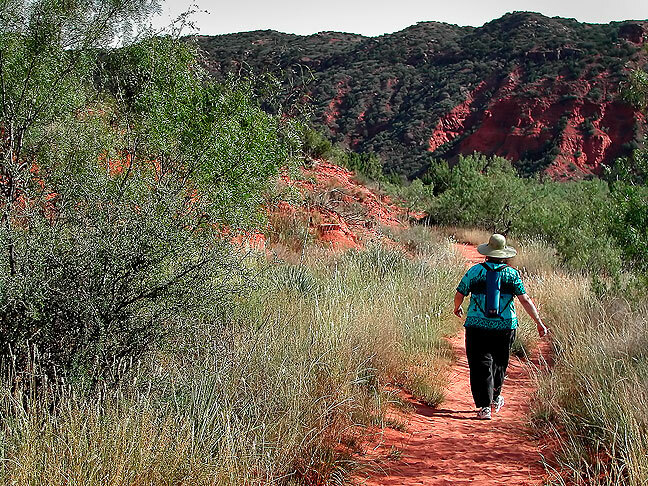 Margaret makes her way along one of the network of trails at Caprock Canyons. 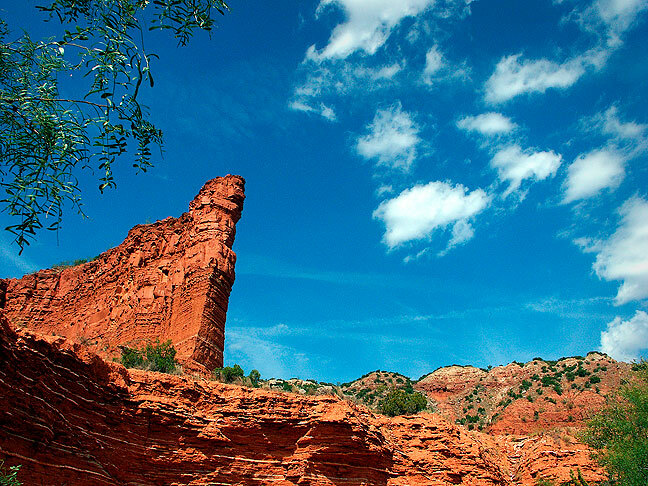 The author hikes on the Rim Trail at Caprock Canyons. At night we had a Duraflame log fire, and were visited by a very curious, tame skunk who came right up to us, a huge deer right at the back of our camp site, and an incredibly tiny field mouse. It was cold and cloudy. Enduring rain came on our second night, so we broke camp this morning. Though it was a short trip, we had a great time. Despite the rain, on our way home we stopped at Amarillo’s famous Cadillac Ranch. I remember how sick I got on the way home from that trip, feh! But the trip itself was good.